ExoraScalper (Exo='Outside' + Ra='Sun' -> "Outside the Sun") is a breakout-capturing momentum scalper designed to more efficiently capture price movements at the shortest possible timeframe. The core strategy logic is based on the concept of finding the rate of change of price movement and immediately placing pending orders in the direction of that movement. If the move is fast enough it will trigger the pending order. If not, the pending order will be canceled after a defined period of time. This is different from the usual "HI-LO" support/resistance channel breakout strategies commonly out there. In this system, no indicators are necessary as entry points are based on a mathematically objective definition of a breakout. The default stop loss is set to a small size of around 2.5-3.0 pips (25-30 points for 5 digit broker) with trailing sizes ranging from 2.5 pips and above. This ensures risk is very small. There is no take profit limit- the gain potential is infinite. This system does not use hedging, martingale, grids, or other similar toxic methods of trading. Stop losses are always used for every trade. Start with either GBPJPY and or USDCAD on the M1. Following pairs can also be used: EURUSD, EURGBP, EURJPY, GBPUSD, USDJPY, and XAUUSD on the M1. MagicNumber - Must be an integer i.e. "101"
TradeComment - To add to EA Comment i.e. 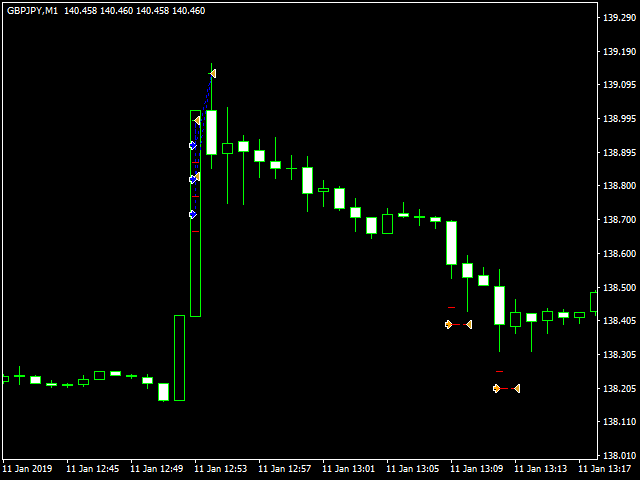 "EXO GBPJPY"
Currently tested this with IC Markets with some success so far. Other brokers and pairs may be tested in the future. Full list of parameter sets files can be found here. To test for your execution time I recommend using this. Incorporated all 4 set files into 1 set file per pair for convenience. 1. Made corrections for the panel information. 2. Adjustments made to allow for trading on the XAUUSD pair. Values are added at the end of the Magic Number to distinguish between the 3 timeframe strategies. Example: MagicNumber="111" becomes "11101" for strategy 1, "11102" for strategy 2, "11103" for strategy 3.